It has been announced that Google has changed their process for their search engine on mobile devices to allow websites that have a “mobile-friendly” design have first dibs in the search results. I guess that could be a sign even more so that mobile is becoming a very critical requirement for companies with an online presence to consider. I’m pretty sure desktop computers are not going anywhere any time soon, but as this announce hints at, neither are mobile devices. As a matter of fact, the rapid growth of smart mobile technology is here and is still a relatively fresh and recent innovation. Companies, especially large ones, are always trying to be at the forefront of big things, and this is Google taking a step to be sure that their company is turning its ‘sites’, pun intended, to the mobile revolution. It seems that phones each year are still finding its feet on what exactly works for your general consumer. Just a few years ago the small, easy-to-pocket iPhone was the thing to have. Now, large, clunky phones have found their time to shine. I personally love the size of my iPhone 6 Plus and how easy it is to now read and watch videos. Will the large phones be the ongoing preference in the years to come? Only time will tell. One thing is for sure is that Google and other large tech companies will be keeping up with the trend as companies focus more and more on mobile technology. How much of an impact this will have on business I’m not sure. It’s most likely that tech-savvy companies will have more of an edge in obtaining new consumers, especially in obtaining the younger and more tech-savvy consumers. It will be interesting to see how significant this change may be. My thought is that the effect will be pretty subtle, atleast at first. Then as time goes on, businesses will notice differences in numbers and finances. As a result, it could lead potentially to more and more companies starting to modify their websites to be able to compete with other companies. To some companies, such as well established companies, this change might have little effect. Consumers already know their products, locations, and their names. For example, someone will type in Sears or Dillards for clothing and other merchandise that those stores sell and immediately get the results that they need. However, other companies and small businesses will find customers who type in something like “car merchandise” on their smartphones may see mobile friendly websites now before their company’s website. I do wonder in what other ways Google may benefit from this. For one I know they are insuring that they will stay on top as the #1 search engine and staying in front means always thinking ahead. They also have their own smartphones so I guess it only makes since for them to also gear their website to smart phone users. It will be interesting to see how this all plays out, but even more interesting is the trend and continuing development and influence of mobile technology which we are able to be a part of. It’s been a while since I posted so I just wanted to put a few updates out there, as a marker for myself if nothing else. I am currently working on a few projects in relation to my company, DrawnWorks, LLC. I am just beginning work on a Children’s book, drawings for kids, and remaking of book covers that my friend and illustrator Jerry and I have done years ago. I have recently invested in tools and resources such as a Cintiq drawing tablet I recently bought. I am also trying to make some updates to my website and trying to decide on the best way to display my work and information that I need to moving forward. There’s a lot to do, but I’m always working on something “behind the scenes” even if it is not posted somewhere online just yet. Keep checking back for updates! Happy new year to all! Updates made to www.drawnworks.com. I have made some small updates to the site that make a big difference in appearance to me. I am still currently working on a few projects including a webcomic series to release this year. This should be a very great year for DrawnWorks. Stay tuned and keep in touch throughout this year for great and new things. Enjoy this new year guys, stay alive, but live a life worth drawing. X-Men Apocalypse has been announced to release May 27th 2016 as the sequel to X-Men: Days of Future Past which releases in coming May 2014. This is exciting news to me because it has been a long time coming for an Apocalypse movie. I’m wondering how they will get this one accomplished, whether it will be CGI or a suit to create Apocalypse. Also, this means that we will most likely see Cable in a movie for the first time?! Possibly even a Bishop and Cable side story going on with the movie. We will see. It’s been over a year since I updated. I have been busy with life and working on many other things so I guess I really put updates on the backburner for a while. I’d just like to offer a short review of the season 4 Walking Dead mid-season finale. Some intense action happened and big characters died basically. The episode definitely set up a big turn in the show. The governor is presumably dead, Hershel was beheaded, and a few other deaths or possible deaths for less important characters. Michonne FINALLY got her revenge, and I know she loved it. It’s funny how all these people took on the governor, but it was only Michonne that took his eye, beat him in a fight, nearly killing him, and finally actually did finish the psycho off. Go Michonne.. and initially I thought she would be the one killed. That was the twist of course. She escaped any kind of harm. Of course she is a show favorite so it would be crazy to kill her. How did Rick get beat up by the governor? I mean the dude has one eye! 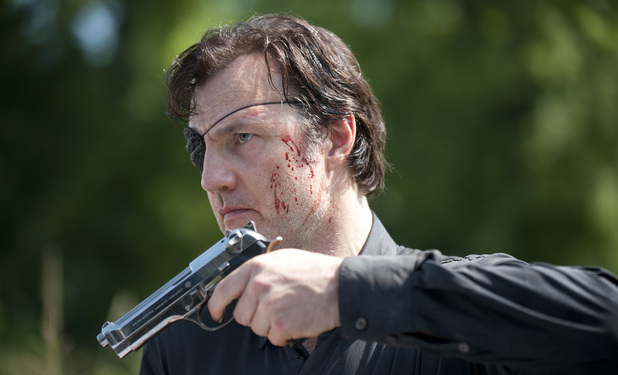 Clearly the governor proves that crazy goes a long way. Now that Walking Dead is over until February, I’d excited for 2014 for entertainment, shows, movies, and video games. A LOT is coming out that’s pretty big in 2014: X-Men: Days of Future Past, Super Smash Bros 4, Game of Thrones Season 4, a few other new Marvel movies, as well as of course teh rest of Walking Dead season 4. It’s a pretty exciting year and motivation to be creative and to think big in whatever you do as clearly people are doing more and more. The people behind X-Men: Days of Future Past are definitely thinking big with a massive budget that is close to a billion dollars. It’s all about being bold and confident in your work.